In today’s advanced marketing environment, it all starts with the brand hub. That’s the cloud-based centralised portal at the heart of your marketing ecosystem that radiates your brand identity, values, promise and consistency right round your organisation and outwards into the wider world – across every channel and touchpoint. It’s the engine of your marketing, a central source of truth for your digital marketing materials and, most crucially, the authorised source of brand guidelines and positioning information. However, nothing stands still for long in the marketing world. We are increasingly helping clients now to develop even greater cross-channel consistency, efficiencies and cost reductions by integrating their other sales and marketing platforms with the Brandworkz brand hub at the heart of their marketing ecosystems. Indeed, today’s brands are in an expanding landscape in which there are many possibilities for productive platform integration. The key is to have systems in place that will connect one with another to automate processes with the ultimate goal of intensifying brand experience consistency across every media channel. Here are two stories from Brandworkz clients. Each has taken a connected and automated approach with their brand hubs in order to improve both internal efficiencies and external brand experiences. Automated pushing of assets to a third-party platform. Known, cherished and worn by generations of rebellious youth, the Dr. Martens brand enjoys enormous international traction. And because virtually 80 per cent of sales comes from outside the UK, of course it’s vital that the company places great emphasis on ensuring the right brand guidelines and imagery are consistently applied across its global marketplace. Retailers around the globe must be able to get hold of the right marketing materials. They must have a clear and positive understanding of what the brand means. And they must know how to advertise it, sell it and promote its unique attitude and identity. 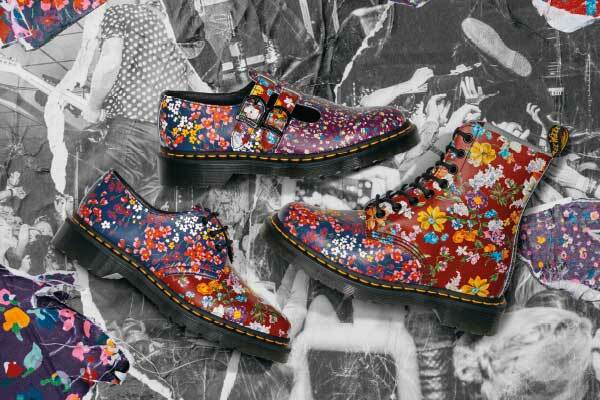 That is why Dr. Martens put in place a brand hub, from which major brand consistency gains have followed. But none more so than through connecting with other company platforms. If you apply that scenario in any company, across all channels – from social and email to microsites, apps and so on – it’s probable that content chaos will ensue, causing loss of consistency, in turn resulting in a patchy and potentially damaging brand experience. Because, in the Dr. Martens case, the Brandworkz brand hub offers an innovative URL link functionality, the team can generate a list of eCommerce images to pull via this feature from the Hub directly into the eCommerce platform. For every product available on the website, there are five product shots and each of those shots must be available at four different resolutions. Brandworkz automates the output of every required permutation, from one master artwork. Across roughly 1,200 live products, that’s a huge time saving for the team who no longer need to manually resize images. The URL link feature is also being used to populate catalogues and internal reports which require multiple product images or thumbnails. Dr. Martens brand managers can ensure there’s only a single master image for each photographic shot in circulation – held centrally in the brand hub. So, every image that is replicated in the eCommerce site, catalogue or report is at the correct size and resolution. Even better, this connected approach to what began as a marketing-only initiative has now morphed into a multi-department benefit, with the brand hub being used daily by the e-commerce team, brand managers and even HR and Legal. And brand experience consistency has improved on a global scale. The task of maintaining a strong and consistent brand hasn’t been easy for the University of Greenwich in the past. Its campus encompasses numerous small office units spread across the 17th-century buildings of the former Royal Naval Academy, hardly the most conducive environment in which to foster brand consistency. The university offers thousands of courses and produces material, both online and in print, to promote each course – in far greater volume than the small in-house design team could process without creating bottlenecks. The marketing team knew that the solution lay in putting non-design trained people in charge of producing their own promotional materials for the courses run by their departments. Following a rebranding programme in 2017, the marketers had installed a Brandworkz content hub for brand education and asset distribution across the university’s internal management teams. This now enabled them to integrate the hub with two external marketing platforms ­– called Banner and Squiz respectively – capable of pulling content into pre-designed, brand compliant, dynamic templates. The Banner database stores national curriculum course information; Squiz is a website CMS system in which additional information specific to the university is held. The user can now simply select a brochure template, click on the appropriate course and the web-to-publish feature in the Brandworkz brand hub auto-pulls in approved, compliant course information from Banner and Squiz. Images can be updated from a pre-approved selection in Brandworkz, and text layouts tidied up, but essentially the user produces a fully designed item of promotional course literature, regulatory and brand compliant – in minutes, not days. This connectivity and automation capability has delivered major time saving in the production of marketing content as well as substantial cost reductions. But perhaps most gratifying of all for the University of Greenwich is the gain in brand consistency it has achieved in addressing its all-important audience of prospective students.